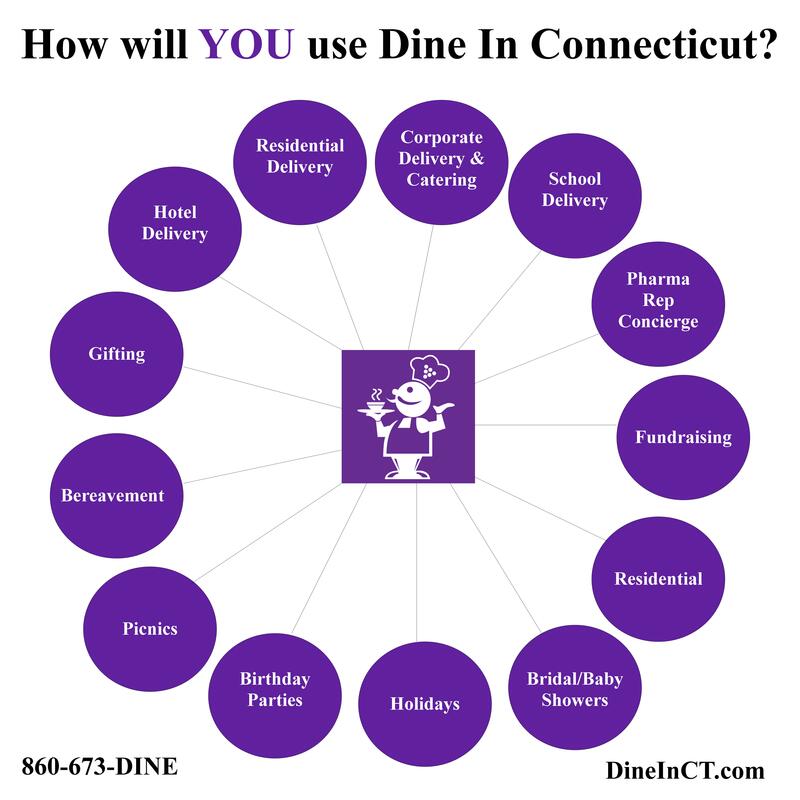 Welcome to Dine In Connecticut, the state's largest and fastest growing restaurant marketing service, voted best delivery service in the CTNOW Hartford Courant Reader's Poll.We would be happy to assist you with any lunch, dinner, party platters, or buffets that you would like to have delivered. We will help you figure out what to order, place the order, manage the restaurant, arrange the pick-up, delivery, set-up and clean up of the order. We provide plates, utensils, napkins, tablecloths, beverages, and whatever else you need. To place an order, simply click on the ORDER NOW link above or call us at 860-673-DINE and we will be happy to assist you. You can view and download pdf versions of restaurant menus by clicking the VIEW MENUS link above. You can switch views to Catering menus once you are on that page. If you would like more information please visit www.DineinConnecticut.com, where you will find a listing of all of our services, restaurant profiles, inquiry forms, and Buffet suggestions.